We have increasingly connected homes, but do consumers really know the potential of the Internet of Things? And are companies ready to invest? Internet of Things? I have never heard of it. There are a lot of people who do not know that many of the objects around us have become “smart”, intelligent. If they have a microprocessor, in fact, lamps, boilers, televisions (just to give a few examples), become digital and connect on the Net and dialogue with us and between themselves. Internet of things, indeed. Yet among the technologies destined to profoundly change the ICT landscape in Italian companies, by innovating or transforming processes and business models, the systems, solutions and services for the Internet of Things stand out. We are talking about different sectors, from applications for smart cities to smart cars, from smart buildings to smart logistics, from smart metering to smart management, from smart factories to smart homes. Take, for example, all those applications which users experience in their homes to manage security, energy and comfort, and that are associated with what is called Smart Home. 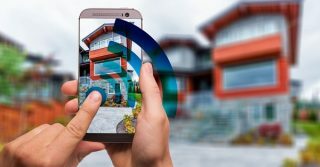 The data of the IoT Observatory of the Politecnico di Milano speak for themselves: 41% of Italians has an intelligent device for their home and the Smart Home is a reality which continues to grow, as demonstrated by the 380 million euro total turnover in 2018 and a 52% growth in smart home appliances and solutions compared with 2017. However, where the increase is in line with that of the main Western countries, in absolute terms Italy continues to provide much lower numbers than Germany (1.8 billion euro, + 39% compared with 2017), than the United Kingdom (1.7 billion euro, + 39%) and France (800 million euro, + 47%), while it is substantially in line with Spain (300 million euro, + 59%). Why are Smart Home applications chosen? According to the survey, those who use Smart Home applications do so to improve security, choosing door and window sensors capable of detecting burglary attempts, surveillance cameras, locks and video door phones. All the applications mentioned account for 130 million euro (35% of the global market). These are followed by products for managing heating systems, i.e. connected boilers and thermostats and smart home speakers, i.e. hubs equipped with speakers which reduce the complexity of connection and management of intelligent objects in the home and are based on voice recognition: the latter have reached, thanks to their diffusion in 2018, 16% of the market, with an absolute value of 60 million euro, driving – directly or indirectly – most of the overall growth. Following their launch, in fact, there was a significant increase in sales of other smart objects for the home, such as those related to heating and lighting. Confirming this growth trend, according to the Retail Transformation research carried out by the Digital Transformation Institute and the CFMT in collaboration with SWG and Assintel, although only 10% of users has controlled the TV by using their smartphone or other domestic devices, as many as 61% is interested in using their mobile phones to start an automation and control process of some objects in their homes, to schedule their daily operation, or to make them respond remotely to their needs. How much do consumers know? Although knowledge and the diffusion of smart objects are growing, according to the Polimi Observatory, consumers do not yet seem to perceive the true potential of using smart objects: as many as 42% of those who have a connected object does not use its most advanced features, as they do not consider them useful (41%), do not need them (34%) or because of the excessive complexity of the product (14%). Furthermore, 51% is very concerned about how these objects talk about us, thus fearing privacy violations and cyber-attacks. Those who do not possess connected objects, do not think of buying them in the future as they do not feel the need (41%), consider them too futuristic (19%), do not fully understand the benefits (12%) or have never heard of them (8%). Therefore, the Internet of things enters our homes, connects them, makes them intelligent, but there are various unanswered questions: the lack of preparation of the people in charge of installation and sales, only a few valuable services enabled by the connected objects, an insufficient exploitation of the huge mass of data made available by smart objects and, last but not least, problems related to privacy and cyber security. Finally, IoT technologies for the communication of smart objects at home (and not only) are still very heterogeneous, due to the multiplicity of application requirements required by the various connected objects. Instead, we need to focus on interoperability and integration. According to the 2019 Assintel Report – The ICT market and the digital evolution in Italy of Italian companies, companies’ IoT expenditure will grow with an average annual increase of more than 18% by 2019. “The IoT market is destined to absorb, to redesign and to extend the range of ICT systems and services known so far, gradually including new devices, increasingly advanced software and more flexible innovative services accessible through additional channels”, the report points out. Furthermore, although with significant complexity, ICT companies believe, according to the Retail Transformation survey of the Digital Transformation Institute, that about 30-38% of their client companies intends to invest in IoT applications during the year ahead.